In Petra one should be happy, a beautiful envirement, the site Petra within reach, mountains around. A nice home. But Samiha and me were not happy. 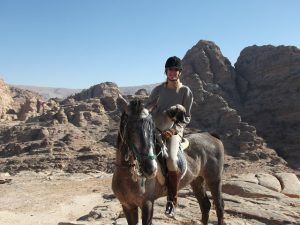 Samiha had to work in Petra as I was not able to ride her regularly. Because many times I could not leave the home, I was not allowed to go by myself. 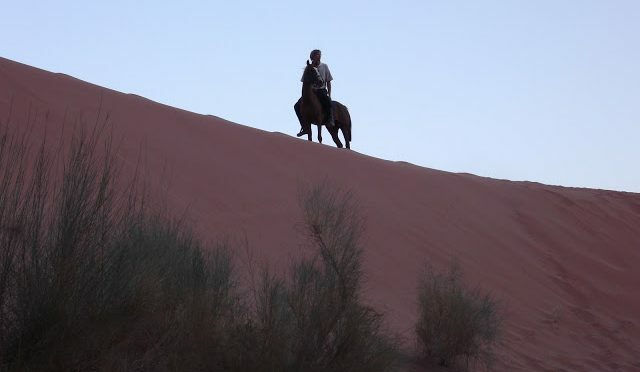 Where I would find someone for a horseback ride with me? 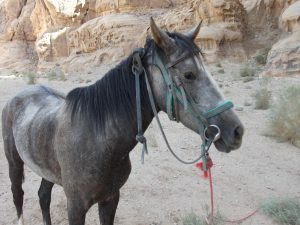 The brothers took her to Petra to let strangers ride on her from the visitor’s center to the Siq and back. When I was able to visit her she was not the same as before. Her head down. Staring at me with pathetic eyes. One day the brothers told me she was not in her stable when they wanted to take her to work. I was in panic, my lovely horse gone. Many had an eye on her because she was so beautiful. But I didn’t want to let her go even when her situation was not how I wanted. Together we came, together we would be strong. I was in hope for better times. We would move to another home and then she would be nearby, next to the home. But now she had left. Her door had a lock that she could not open by herself… How many scenerario’s went through my head, but all the time I came back to the fact that someone had taken her. Instead of everyone searching to her in the valley where some water was and also grass, nobody was looking at her. I didn’t know yet that things go different in Jordan. The brothers did some research, asking the horse guys if someone had seen her. After two days and two sleepless nights they told me she was found. Someone had seen her in the valley and brought her in his barn. So she came back, again different then how I knew her. We moved up the mountain, she got a nice place in a half open stable, next to the home. Together with the horse of the brother. But it was not for long. The neighbours started to complain that the horses smelled and were too close to the home. But there was no other place at that moment to bring her. One day I heard from my husband that Samiha was free again. The neighbour had made a fire in her stable but fortunately before he did, he moved the horses out. No stable anymore. We found her nearby, they put an iron chain on her foot. I didn’t agree with this but I had to shut my mouth. I was with her every day. After the summer she lost the foal there. This story is written in a previous blog. Also my life was not good. My husband had a story that someone put the black eye on him because they didn’t agree about our marriage or they were jealous. It affected daily life. The doors in our home went open or closed by themselves, many things got broken or started their own life, I found things on other places, a blanket cut with the sharpest knife in the home… Lamps turning on and of, a haunted home. And my husband was not okay. In those days the physical abuse started and many strange ideas started to form in his mind. But we would move again. This time to the home next to his parents. When I came to Petra I knew already that we would live in this home but it was not finished yet. And of course I hoped everything would be fine then. The second winter came. In the mountains it is very cold and Samiha was living almost on top of the mountain in the cold wind. In winter it can snow in Petra. She has a warm blanket but the nights are shiffering cold. We moved the horses in the empty, not finished home to be protected from the cold weather. She liked it, and she was closeby. Everyday I brought her treats, she seemed happier. But I had to ask many times to clean the stable as the horses stood in a dirty area. It was not done to do this myself as a woman… At least it was the best place till that moment. After the treatment she became a little better but not the same horse I brought two years ago. She worked a little but became ill again and again. Still I had the thoughts and hope we would find a better place for her, that I could see her again every day and take care of her, wishfull thinking. I have to admit that my husband never became the same as how he was when I met him. But I was still hoping for a better life. I believed his nice words that he would work on our future and that he would change when everything went better. One day he came with the message he would bring me to Samiha because she was dying. Only then??? I was so angry that he didn’t tell me earlier, everything went well all the time when I asked and then at once she was dying? The volunteer at that moment with me visited her a few days ago and although not 100%, she took pictures, Samiha was looking quit well. I took an apple with me. I was sad, but I didn’t want to cry to be strong for her. The volunteer was with me. When we came to her stable, Samiha was laying down. I gave her the apple. Always she was taking every treat very carefully, but this time she grabbed it from my hand, biting me and…she destroyed my wedding ring… It was her message to me. She could not stand up. She was laying in the water. I managed her with united forces to stand up, but she could not walk. Three steps would save her life, I thought. She did it, but collapsed immediately again. I called my husband to help us but only two small boys came. There was an empty dry stable if she could come there. But nobody would help. Everything what I found in the area I put on her, blankets, carpets to stay warm. The next day the vet would come. I could not sleep, wanted to go to her very early in the morning, but it was not allowed. I was cooking inside. 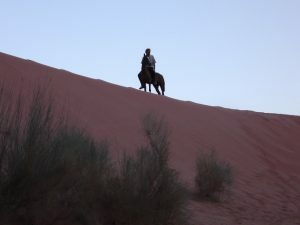 Angry, sad, I had to go to my horse. But in the same time I was so scared. The abuse went worse, he could have killed me if I would go. Later I heard she died that day, before the vet came. I had enough from all the lies told to me. 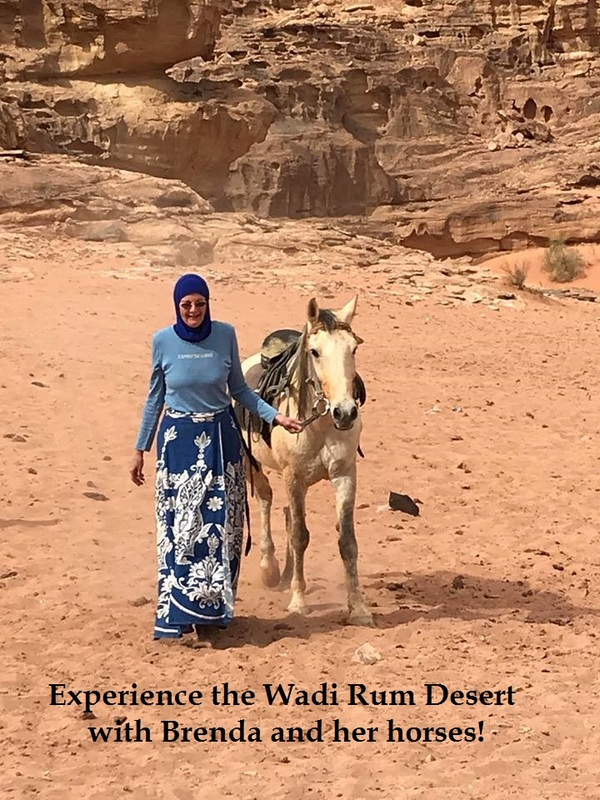 I had enough of being in Wadi Musa, it was not my place. I have cried for days, it was my fault, I thought. I understood the message from Samiha very well. I packed my stuff to leave this place. The abuse was not only physical I knew, mentally, emotionally I was brainwashed. I was very scared and it blocked me to think clear. After everything was packed my husband came to me, he was very sad, he loved me, he could not live without me, he would improve his life, he would give me more permissions. I believed him and unpacked. And packed again. And unpacked another time. The third time I packed I was sure I would not listen to him anymore. But it was not a question of just going. I was in Jordan. My husband could stop me, even if I was already on the road. He could even find me and bring me back. In that time he checked everything, took one of my telephones, didn’t put any credit on the other one because he didn’t want me to be in the connection with others. Many times he forbid me to open my laptop, to work… He checked everything on the laptop… But in the end, with the help of the Dutch embassy with who I connected on a secret email account, I could make my escape. I was afraid if I wouldn’t go now it would cost my life too like Samiha. 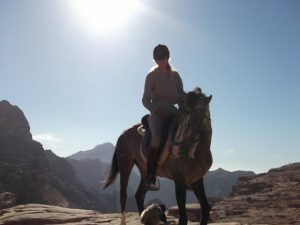 Next time the last blog about Petra. How a house changed into a barn.